Does your business pass the test when it comes to the very highest standards? If you’ve ever wondered how to spot the difference between a cappuccino spoon and a sugar spoon, or whether a duke or a marquis should be announced first at a formal function then you may be familiar with Debrett’s guide to etiquette. For those of you who are not, it is a guide to conducting yourself in public and social situations that has been in operation since 1769. Their style is exacting, some might stuffy and overbearing, but they are still considered to be the best authority on manners and behaviour that we have. 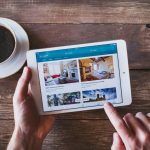 And now, they have teamed up with Airbnb to produce a guide a guide for guests and hosts alike on the standards that we should expect from vacation rentals. The Debrett’s guide makes for fascinating reading for anyone involved in the vacation rental industry or anyone looking to book a property. 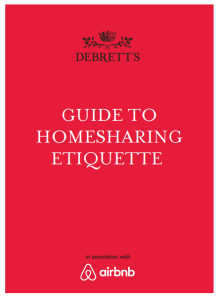 This guide sets out a code of behaviour for homesharers and reminds us that the basic rules remain the same, whatever the situation, and should always be respected. Hosts must open their door to guests with a warm smile and welcoming demeanour. The muddy shoe question can be addressed with a straightforward and friendly request; alternatively, a shoe rack in the hallway will provide a more subtle hint. The rules the guide sets out are rather rigid once they have been decided, the guide even calls the sending of text messages ‘cowardly’. 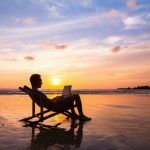 It seems that experienced vacation rental managers have to adopt a more fluid style when it comes to their hosting, learning how to deal with the unexpected. Whether you agree with all the points is one question, but this guide demonstrates two encouraging things. Vacation rentals are becoming established enough to warrant this sort of document. Enough people use them regularly that they are expected to be a lodging option for travellers all over the world. 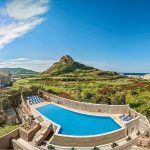 Like a glowing debutant stepping out at an opening ball, the recognition from Debrett’s may not mean much to your day to day business but it does suggest that the vacation rental industry has ‘arrived’. Secondly, there is a drive to set standards. To give hosts and guests the confidence to become involved in the industry without the fear of inconsistent service or even fraud. For some, there might be a certain level of awkwardness in sharing another person’s home or opening theirs up to guests. This guide aims to remove this barrier. Many experienced business owners will not be surprised by some of the advice in this guide. 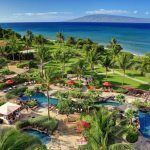 After all, a professional approach and exacting standards are part of the reason why vacation rentals have managed to become so popular before guides like became available. What is possible is that having guides and expected standards will be more useful to people that have never used vacation rentals before. It’s always daunting not knowing what you can expect, it can be enough to put people off booking vacation rentals. 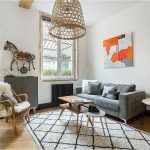 Guides like Debrett’s might do more to reassure the people that have not considered vacation rentals than helping current hosts. Despite the sage advice contained in Debrett's guide, many experienced hosts will tell you that a guide can never be comprehensive. You can never meet the expectations of every guest or expect every guest to have the same expectations from you. 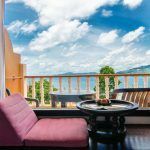 The Debrett’s guide to vacation rentals is a great benchmark for standards but will not be able to replace the need of a well run and organised business. One that can react to different guests, different cultures and the unexpected. This guide could be great for your business to share with your customers and your hosts. Is there anything in it that you disagree with? Next Article: Space Travel or Underwater Apartments: How Will Vacation Rentals Compete in 2024?